Welcome to your Colorado Springs Blog about All Things Real Estate. Have you been noticing the weather change? We sure have been noticing a it getting a bit cooler, and the leaves are beginning to turn. A new football season means that Fall is right around the corner. We have put together some fun ideas of exciting activities and events to check out. Whether it is a unique date night at a haunted house, or something fun with the whole family such as the Cheyenne Mountain Zoo there is something here for everyone. Go for a ride - Catch Colorful Colorado's beautiful fall colors! Colorado has some of the most gorgeous scenic drives in the country. Horror fans delight in Telluride's 7th annual Horror Show. Nothing says fall like a good old-fashioned romp through a pumpkin patch, or corn maze. Manitou + Mineral Water + Bottles = What more do you need? Fountain, Colorado is best known for being located just east of Fort Carson. The main gates of Fort Carson lie just west of Fountain. The city is approx 10 miles south of Colorado Springs and 30 miles north of Pueblo along the front range. Fountain boast over 13 miles of trails and bike paths for you to explore. 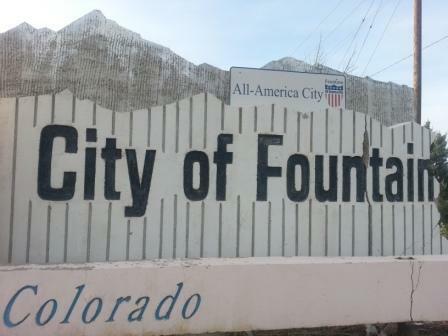 Fountain is one of the fatested growing cities in Colorado due to influx of soldiers on Fort Carson. Many of our soldiers live in or around Fountain. Incoroporated in 1903, the City of Fountain is a full service municipality with its own utilities and electric. There is a mayor and 6 members of the city council. 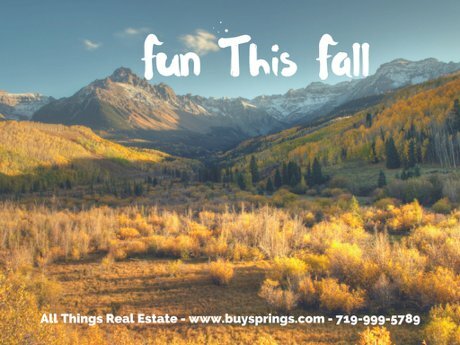 Fountin, Colorado is quickly becoming a very popular relocation destination for people moving to Colorado. It's location in close to proximity to Colorado Springs makes it very appealing. Many residents mention how quiet and peaceful it is to live in Fountain. As of lately we have seen an influx of people looking at relocating to Colorado Springs, andrelocating to Fountain, Colorado. 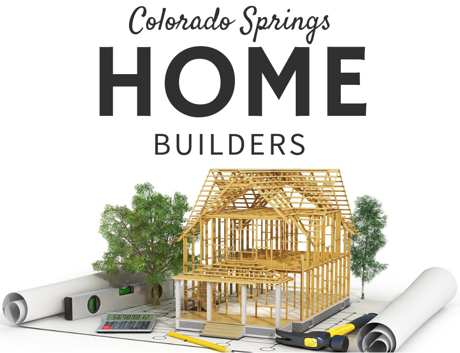 Click here to see custom home builders in the Fountain Area. Purchasing a home is one of the biggest decisions, and financial investments of a person’s life. This can seem simple at first, but there is quite a bit that goes into purchasing a home. On average there are 50 people involved in the transaction for a pre-owned home. On a new home that number is closer to 200 people. All looking out for the builder. It would be smart to have one of the people involved looking out for you. One may think that a new home build may be more cut-and-dry than than a pre-sale. However, the purchase of a new home is often more intimidating, and complicated. When you walk into a model home, or meet with a builder it is important to realize that the on-site agent actually works for the builder. Their main focus is going to be the sale, and getting the best deal for the builder. Most of the time those agents are obligated to the builder. They look out for the best interest of the builder, not the client. At no time will they negotiate against their client, the builder. They will not have your best interest in mind. They will know the area and details on the home, but you want an agent who is knowledgeable in your corner. You want to find an agent who has a lot of experience with new homes, and builders. Read reviews to find a good match for you. Furthermore, your buyer’s agent can help you with finding the right lender for you. The builder may have you believe that you can only work with their title company, and lender. They get big incentives by putting you through their preferred lender. A buyer’s agent can help you “shop” the best options for you. When you enlist the help of a buyer’s agent it is the seller of the home that pays the buyer’s agent’s commission. A lot of people think that they will get a better deal if the seller doesn’t have to pay the buyer’s commission. This is not the case. Builders do not like lowering their prices. It sets a precedence for price comparison for homes in that area, and future home sales. A builder is much more likely to include closing costs, or offer special home design incentives before they will consider selling their home. Often what the builder will do is include the commission of the buyer’s agent into their marketing budget. Accountability – Builder’s tend to be held accountable when there is a buyer’s agent involved. If there are defects or builder mistakes a buyer’s agent can hold them accountable. Whereas, without an agent the mistake or defect may not even be found until it is much too late. Negotiating Money Down – Often a buyer’s agent can negotiate a smaller amount down as required by the builder. Get Everything In Writing – A good buyer’s agent will get everything in writing before they proceed with a deal. Get Out Of The Deal If It Is Not Right, And Be Protected In The Process – Recently we had a situation where our client had to go back home because of family health issues. The builder was refusing to give their deposit back. Because they had good representation on their side we were able to get their full deposit back. The builder would prefer to keep a good relationship for potential future clients the buyer’s agent may bring to them. Negotiating Price And Options – Many times buyers are not comfortable or savvy in the skills of negotiating. A buyer’s agent will look out for your best interest and work to get you the best deal possible. A good buyer’s agent will know what the builder will be able, and willing to do. Knowledge – They will know the area, the builder’s quality and reputation. Insight – By pulling permits you could probably find out if there are plans for busy roads or power-lines being placed near your new home build. These are detrimental to future resale value. An agent can do that leg-work for you. They could also provide insight you may not be able to find yourself. For example: They could tell you if your home is facing issues with water drainage, or flooding. Something you may not see by just looking at the lot. This is also something that could be very impacting on resale of the home. Remember, everything in Real Estate is negotiable. So, find someone who knows their stuff and will be able to negotiate you the best possible deal. The Broadmoor Area of town lies on the SW side of the Pikes Peak Region. The area boasts the Cheyenne Mountain Zoo and endless miles of hiking and biking trails. It is also minutes away from other popular attractions including Helen Hunt Falls, and The Broadmoor World Arena. Homes in this area range from $450,000 and up. Most of these homes are older homes in established areas. As you can see in this Google Map, the Broadmoor area of town is on the west side of I-25 and hugs the Rocky Mountains. Downtown is just north of the Broadmoor area and Fort Carson is to the South. Call The Canady Team f you are looking to buy or sell a home in the Broadmoor area. Tiffany and Brian Canady specialize in the area, and are very knowledgeable. The Canady Team will provide you with the concierge treatment that parallels The Broadmoor's world class service. The Colorado Springs housing market is hot right now. The area is seeing the strongest seller’s market it has seen in quite some time. Maybe even ever. Colorado itself has become very popular as of late. Anyone can see the rise in popularity in pop culture references and media. For various reasons Colorado is both appealing to millenials and families combined. If the Colorado Springs market is hot. The Denver market is s a burning powder keg in the middle of an active volcano. According to a report by Zillow home values have went up 4.6%. Many Realtors in the area have stated they feel this number is low. It comes in comparison to Denver’s home value number that has risen 13.7%. Given the natural beauty of the area it is no wonder why anyone would love tomove to Colorado Springs, or Denver for that matter. In Colorado Springs it seems as though it has been picking up, and does not show signs of slowing down anytime soon. According to PPAR housing statistics the average days on the market for January in 2015 was 106 days as opposed to 60 average days on the market for January in 2016. Zillow also predicts to see a 3.5% increase on home values in Colorado Springs within the next year. The result of low inventory has lead to prices of homes being driven up, and often a multiple offer bidding war situation. This is all great news for REALTORS® and people selling their home. It does however put a strain on the home buyer. It certainly will be interesting to see what happens over the next year in Colorado. This week All Things Real Estate brings you another ASK AN EXPERT. This week we answer the question, "What are the upfront costs when buying a home?" Today our expert is Tiffany Canady of The Canady Team.